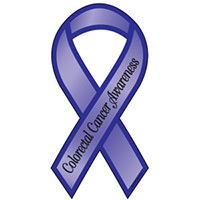 We are currently analyzing data and drafting a manuscript addressing the heritability of colon and rectal cancer. It is known that family history is a strong risk factor for colorectal cancer, but the extent to which familial risk can be attributed to inherited factors versus shared environment remains obscure. It is also unclear whether familial risk is distinct for colon versus rectal cancers. It is important to examine this closely given accumulating evidence that their physiological underpinnings are distinct. Assessing the differences between identical and fraternal twins in the Nordic Twin Study of Cancer affords us the opportunity to address these research questions. Thus far, our results suggest a greater genetic contribution to the risk of colon cancer than to the risk of rectal cancer. We have also determined that the contribution of shared environment to both cancers may be larger than previously thought. The heritability of colorectal cancer in the Nordic Twin Study of Cancer (NorTwinCan) (ABSTRACT). Graff RE, Skytthe A, Adami HO, Czene K, Harris JR, Kaprio J, Giovannucci E, Mucci LA, Hjelmborg JB. The heritability of colorectal cancer in the Nordic Twin Study of Cancer (NorTwinCan). Cancer Prev Res November 2013 6;A51.